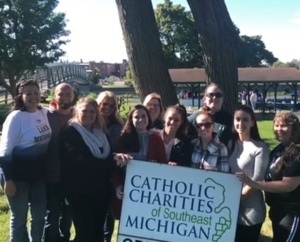 Over 75 residents and their children attended the Recovery Picnic last month at the St. Mary’s Park in Monroe, Michigan. The event was organized to coincide with National Recovery Month 2018 by our Catholic Charities Mental Health and Substance Abuse Counseling office in Monroe. Several community agencies joined in the celebration with Catholic Charities, including Salvation Army Harbor Light, Life Challenges, the Humane Society, Family Medical Center, Paula’s House, and New Directions. 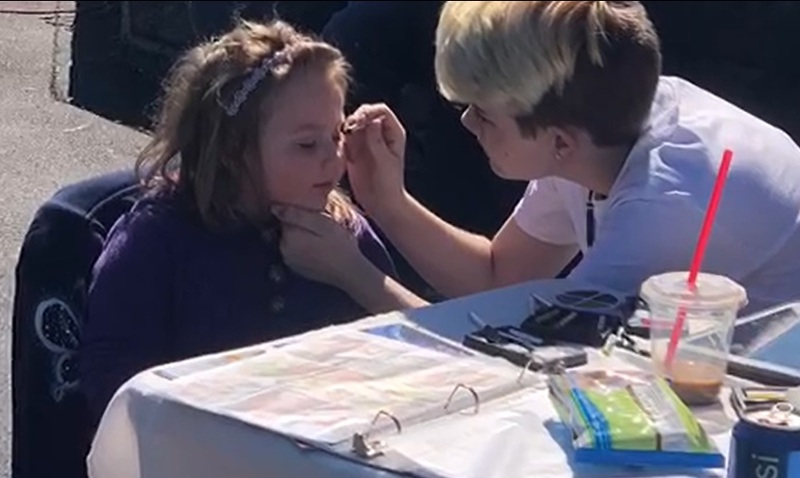 Monroe CARES provided face painting for the many children in attendance. Lunch was provided by Dena’s Kitchen and beverages were donated by State Representative Joe Bellino. A special thank you goes to all the volunteers who helped put on the event, as well as organizations like Buffalo Wild Wings, Phoenix Theaters, Old Town Golf and Sportland, Splash Universe, and Go Karts Plus for their donations.